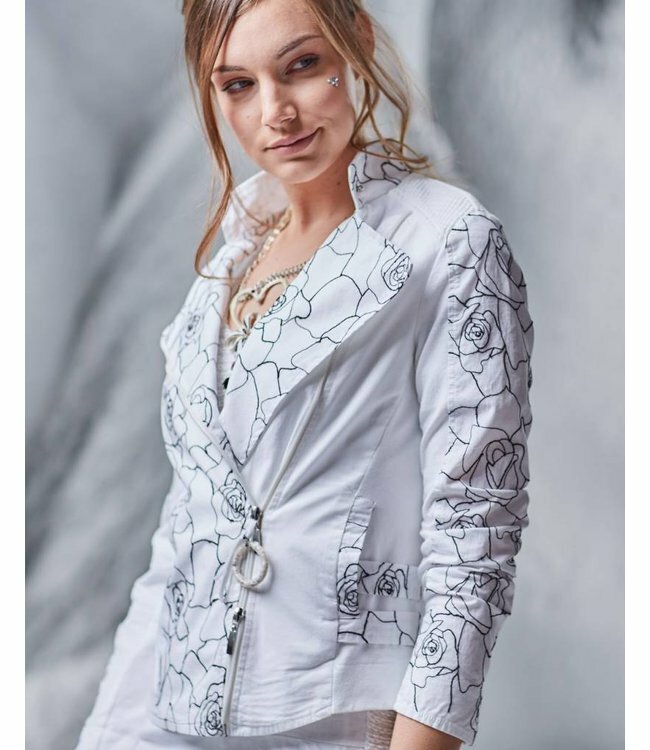 Short jacket, white, with embroidered black roses. To match: Trousers ELP186002806 col. 01001 Bianco and boots ECP180101106 col. 23087 Selene. White jeans made from a stretchy material, featuring embroidered black roses near the left hem.